Mass redundancies are once again proposed at the Bristol Evening Post where up to 19 journalists – more than a third of staff – are at risk as the paper scraps its Saturday edition and drops ‘Evening’ from the title. At the same time, Venue magazine will cease appearing in print; some Venue listings and reviews will appear in the Post’s Friday edition. 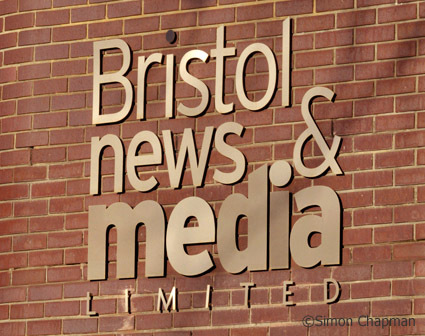 The news, broken to stunned staff on Friday April 13 (surely some sick joke) just days ahead of a planned 80th anniversary celebration (an even sicker joke), is very sad news for Bristol and raises serious concerns about the paper’s ability to provide decent coverage of the city. Keeping Folio as a monthly magazine. The Chapel now enters 30-day period of consultation and Post editor Mike Norton says he will listen to serious proposals to reduce the cuts. The Branch will, of course, support the Chapel and our colleagues in any way we can. We are devastated and angry to find ourselves once again fighting to defend jobs and quality journalism in Bristol. Since 2006 more than 80 journalists have been made redundant from the Bristol Evening Post and Western Daily Press (the WDP appears not to be affected by this latest round of cuts, possibly because it has already been reduced to a minute staff). The latest redundancies will, if implemented in full, take editorial staff to 37 and must raise serious questions about the quality of the journalism it can provide. Branch chair Paul Breeden said: “In 2005 there were close to 200 journalists in the Post building. It’s very hard to see how the Post can provide the comprehensive news service Bristol deserves with fewer than a quarter of that number.